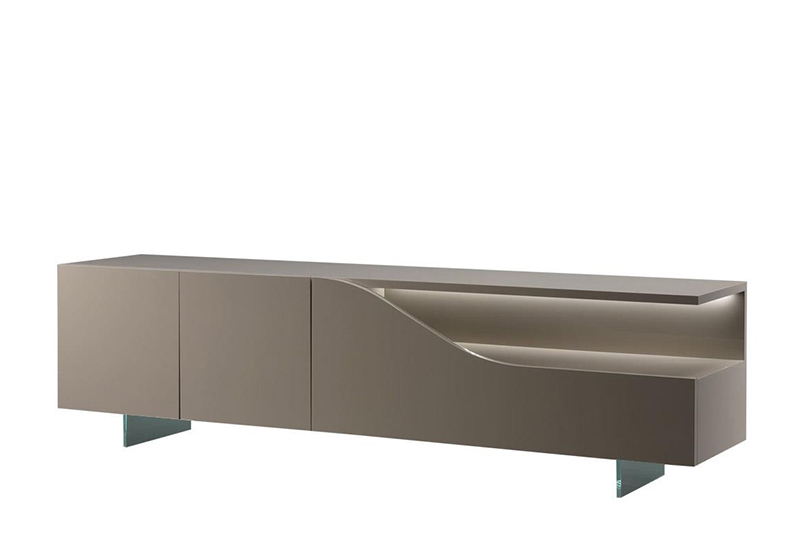 Modern buffet designed by Pininfarina skilfully crafted in shiny lacquered finish with your choice of standard colours, OR in Henn Oakwood timber. Equipped with one folding door and one or two doors. 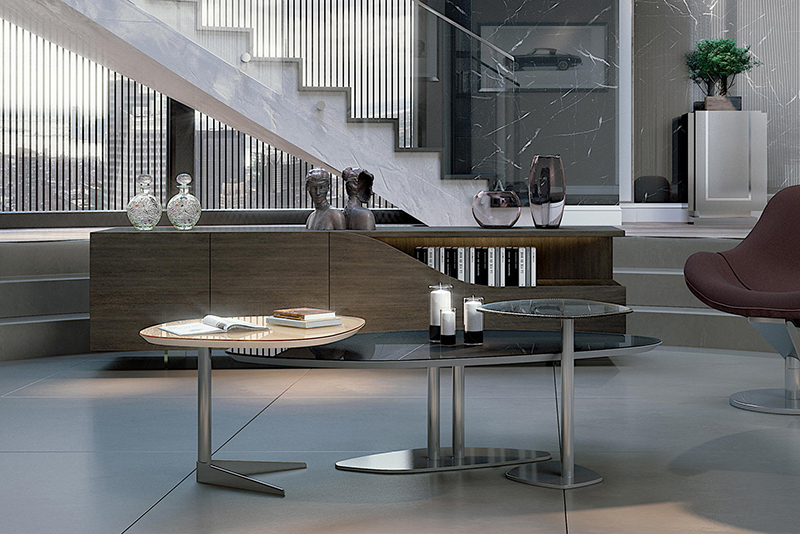 Open section in same finish as the structure or in satin copper or steel, in Canaletto walnut or covered in lacquered or etched lacquered glass. Optional LED lighting.